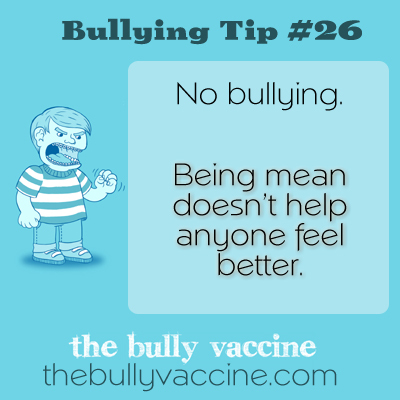 Bullying Tip #26: Punishing bullies doesn’t work. So what does? No bullying. Being mean doesn’t help anyone feel better. Bullies are often acting out on other stresses in their lives. If we can help kids find a way to deal with stress, we can reduce some forms of bullying.